Draft: 2013, San Diego Padres, 7th rd. Split the season between Tampa Bay and Triple-A Durham in his first taste of the Major League level at age 22...Recalled and made MLB debut on June 7 vs. Seattle and was with the Rays the rest of the season...Appeared in 76 games at first base, 16 games in left field and four games in right field...Rays went 42-27 (.609) when he started at first base...Led A.L. rookies with 54 walks, the third-highest total in Rays history for a rookie, behind John Jaso (59) in 2010 and Akinori Iwamura (58) in 2007...Ranked fourth among AL rookies with 22 2B and eighth in RBI and runs...35 of his 65 hits (53.8 pct.) went for extra bases, sixth-highest in the Majors (min. 200 PA)...Hit .167 (32-for-192) after the All-Star break, third-lowest in the AL among qualifiers...Was the youngest player to appear for the 2018 Rays, a team that featured 23 rookies...On June 9 vs. Seattle, recorded his first career hit, a double off Félix Hernández...On June 11 vs. Toronto, hit his first career home run, 2-run shot off Sam Gaviglio...Became the youngest first baseman to homer in club history, and youngest infielder since Evan Longoria (2008). Spent his age-21 season with Triple-A Durham…was the second-youngest player on an International League Opening Day roster, behind 20-year-old Ozzie Albies (Gwinnett)... Ranked among IL leaders in runs (79, 1st), walks (78, 2nd) and on-base pct. (.368, 5th)…tied his career high in runs (2016)…his 20 SB were twice as many as his previous career high (10, 2016)... Was one of two players in the IL with double-digit homers and at least 20 SB, along with Xavier Avery of Gwinnett (Braves)... Tied for 3rd among Rays minor leaguers with 13 HR, behind Jesús Sánchez (15) and Justin Williams (14)... Started 53 games in left field, 50 games at first base and 19 games in right field... Was a non-roster invite to Rays spring training… won the Al Lopez Award as the Rays most outstanding rookie in spring…hit .371/.465/.857 (13- for-35) in 17 games, tying Corey Dickerson for the team lead with 4 HR and leading the team with 13 RBI... Named to the Rays Organizational All-Star Team by MLB.com for a second consecutive year. ®® Ranked by Baseball America as the No. 45 overall prospect in the minors following the season, up from No. 70 the year prior…was the No. 4 prospect in the Rays system. Named Most Valuable Player for Double-A Montgomery by the Rays Baseball Operations department…earned Southern League midseason and postseason All-Star honors…ranked among SL leaders in games (135, 1st), runs (79, 3rd), RBI (78, 4th), doubles (28, 4th), OBP (.370, 5th), walks (73, 2nd) and total bases (207, 4th)…ranked 2nd among Rays farmhands in RBI and tied for 4th with a career-high 14 HR…started 62 games in RF, 57 at 1B and 4 in LF…ranked by Baseball America as the No. 70 overall prospect in the minors enter-ing the 2017 season…was the No. 4 prospect in the Rays organization and the No. 5 prospect in the SL following the season…also tabbed by the publication as the Rays Best Hitter for Average…named to the Rays Organizational All-Star Team by MiLB.com. June 7, 2018 Tampa Bay Rays recalled 1B Jake Bauers from Durham Bulls. March 11, 2018 Tampa Bay Rays optioned 1B Jake Bauers to Durham Bulls. November 20, 2017 Tampa Bay Rays selected the contract of Jake Bauers from Durham Bulls. April 4, 2017 LF Jake Bauers assigned to Durham Bulls from Montgomery Biscuits. December 22, 2016 Tampa Bay Rays invited non-roster OF Jake Bauers to spring training. 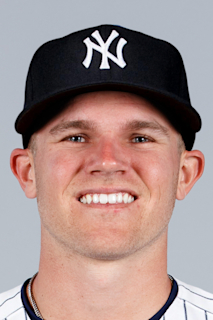 March 11, 2016 OF Jake Bauers assigned to Tampa Bay Rays. June 24, 2015 RF Jake Bauers assigned to Montgomery Biscuits from Charlotte Stone Crabs. December 19, 2014 1B Jake Bauers assigned to Charlotte Stone Crabs. April 25, 2014 1B Jake Bauers assigned to Fort Wayne TinCaps from AZL Padres. June 20, 2013 1B Jake Bauers assigned to AZL Padres. June 19, 2013 San Diego Padres signed Jake Bauers.